Would you recommend the Macroblade over the Maxxum? You mentioned in your other video that tri-skates are not as good for cracked asphalt. Why do you think that is? Just because of the 3 vs. 4 contact areas? 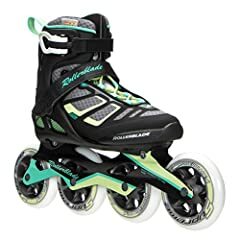 Is it confirmed when you compare the 100s (x4) to your tri-skates? I’ve found that much of the response to cracks is in the wheel hardness- and it seems surprisingly that _harder_ wheels are better (on tri-skates)! Do you still own these? 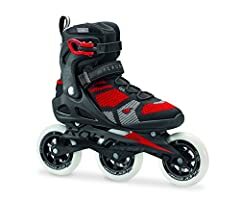 Any recommendations for other 4x100mm inline skates? If you need a half size worth of space you can easily get that with more arch support. 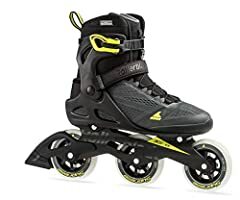 Those stock footbeds (insoles) in the rollerblades are flat and flimsy which means when you step on them the arch of your foot likely flattens out making your foot longer. Most people lose half a size in foot length with a properly supported arch. I would look at superfeet green or blue (or other high end skate/ski insoles), preferably in a store so you can get something that matches your arch well. Hope that helps, and thanks for the review. I think, there should be some proprietary Rollerblade key to unmount those bolts, that are holding the frame. It will be strange if there is no possibility to unassemble them.nice review! p.s. just added a review on my FILA NRK on my channel. Check please, if interested. I also had the clicking noise on my Macroblade 84, but after I tightened the wheel screws the clicking sound went away. 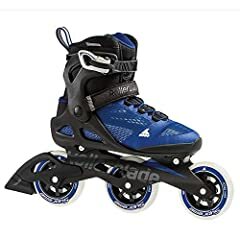 Get something else is my advice, rollerblade makes less and less stiffer skates for each year and less comfortable..